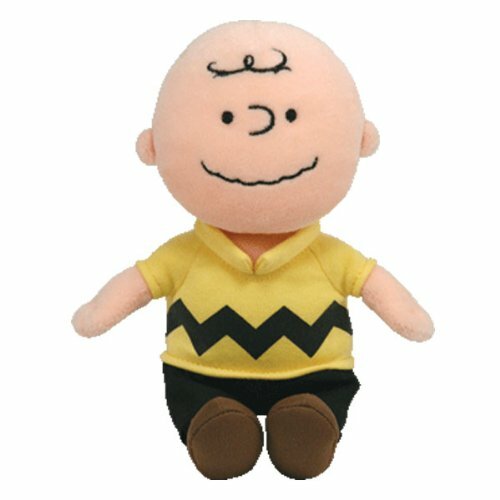 Charlie Brown has a round peach coloured face and arms. He wears a yellow and black t-shirt, black trousers and brown shoes. He has tiny black eyes and black stitching detail for his nose, mouth and hair. Charlie Brown was introduced in 2010. There is also a musical USA exclusive version which plays a small part of the theme tune from Peanuts when pressed.